Tax In Arizona state only. We accept MasterCard, Visa, Discover, American Express, Debit (with M/C, Visa logo), Paypal & cash. Mention BuySellCommunity & call us for a new Mitsubishi DLP TV lamp # 915B403001 WD73C9 + more for $99.99 with exchange of your old lamp housing. Or you can buy the complete unit outright for $119.99 & get $20.00 refunded back when you return your old lamp housing (dud or core). Or you can buy the bare bulb for $89.99 & Do-it-Yourself. Visit parts-eDOTcom for a printable special in store coupon or mention this ad for $5 off the above exchange price. Bring in your old bad lamp housing & we will sell you a new bulb complete with housing. Make sure you get the best in lamps, make sure you only get Philips or Osrom! 120 Days a Replacement Warranty + Right here in town + Highest quality lamps! up to one year from time of purchase, based on time in use, for a discount towards a new lamp. extended warranty for $20 extra. All warranties are from date of purchase. Quality name brand lamps or bulbs last a long time. Make sure your supplier gives you a receipt and a long written warranty. Beware of so called "dealers" that are cash only, offer no receipt for your purchase and no warranty, they sell bad fake lamps. We have the largest selection of the highest quality DLP and LCD lamps in the state. All our replacement lamps are of the finest quality OEM name brand lamps. We NEVER sell fake Chinese, second source or used lamps. WE BUY BROKEN FLAT PANEL LCD AND PLASMA TVs! 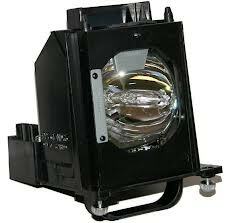 We test your DLP or LCD projection TV lamp for free. Three time winners of the Phoenix Award in the Electronics category by the US Independent Business Association (USIBA). Visit parts-e DOT com for a printable in store coupon. Reliable, honest and in business since 1938. Not sure if you need a lamp, then bring in your old bad lamp and we will test it for free. Bring in your TV and we will test a new lamp in it for free (see your picture before you buy your lamp). We will install a lamp in your TV in your home for $60.00 extra to most valley metro areas (credit card only). We ship to continental U.S. for a flat $ 9.99 shipping and handling fee. JVC, LG Zenith, Sharp, Philips, Akai, Vivitek, Viewsonic & more. Are you looking for repair service? We have been doing repair service on all types of consumer electronics since 1979. We can fix it all, from flat panel Plasma and LCD TV's to guitars, from DVD's to gaming systems. We also fix computers and remove viruses, malware, PUPs, reset passwords, etc. We offer pick up and delivery on T.V. sets. Price varies depending on location! We also ship to Canada, Quebec, Ontario, Manitoba, Saskatchewan, Alberta, and British Columbia.